We have pleasure to introduce our selves as specialized services provider in the field of Bio Mass Based Power Plant services. 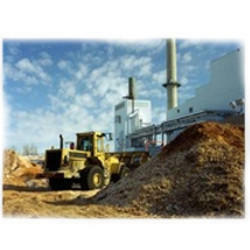 We are instrumental in providing our clients a comprehensive range of Biomass Power Plant. The offered power plant is manufactured using top notch material & contemporary techniques in accordance with the industry standards. Our offered power plant is examined on diverse parameters of quality for delivering a defect free range. This power plant is obtainable in different specifications to fulfill the ample desires of customers.